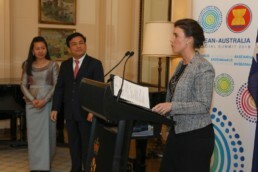 The Association of Southeast Asian Nations (ASEAN) is an intergovernmental organisation comprising ten countries which promotes cooperation and facilitates economic, political, military, educational and cultural integration amongst its members. 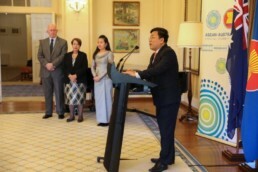 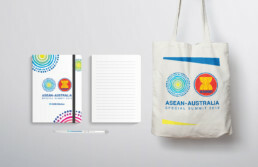 The Department of Prime Minister and Cabinet contracted Dreamtime to create the branding for the ASEAN-Australia Special Summit 2018. 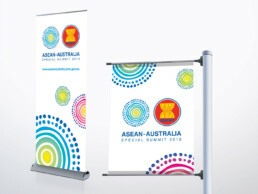 The branding included a co-branded logo with a modern and clean look coupled with an Indigenous feel. 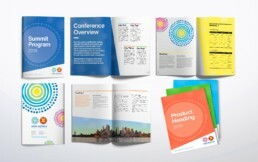 Other collateral designed were brochures, banners, social media campaign items, icons, name tags, promotional merchandise and style guide.